Once we buy a home, we work hard to make sure the home stays in good shape. That generally means keeping it as clean and tidy as possible on both the inside and the outside. A good exterior doesn’t make up for an interior that’s falling apart, and a ratty exterior casts a shadow over even the nicest inside. Unfortunately, we only have so much control over our environment. We can’t prevent natural disasters like wildfires and floods from striking occasionally. It would be nice if we could, but that’s not the way things worse, and climate change isn’t helping. In fact, climate change may very well be a contributing factor for increasingly extreme weather events that are happening around the world. If it felt like there were a lot of wildfires in the western part of the country last year, that’s because there were. 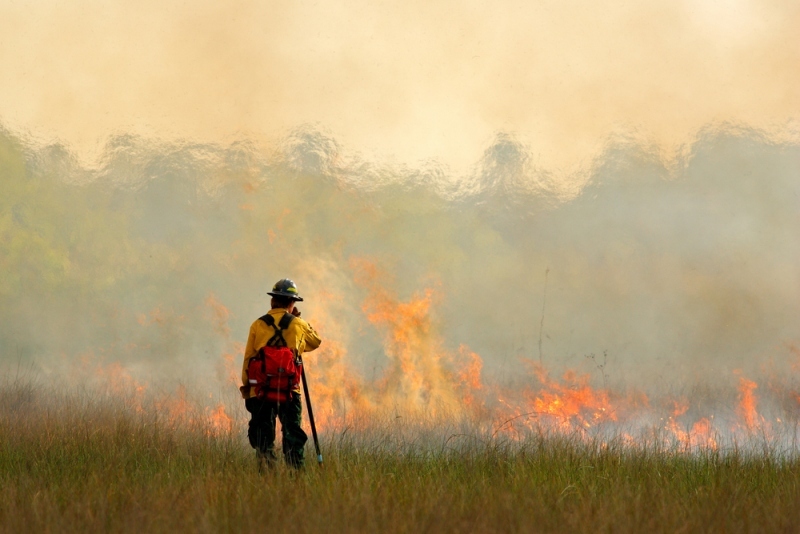 Wildfires are more likely to occur in what’s known as the Wildland-Urban Interface. That’s where housing meets nature, sometimes known as the frontier. By one estimate, 39 percent of all houses in the country are in the WUI. California has the most homes built in wildfire-prone areas, with Texas coming in second and Colorado rounding out the top three. It makes sense that, in the current housing crisis, more and more people would be building on otherwise undeveloped land on the very outer edges of a city. The Western states have also been affected by extreme heat and drought in recent years, and that just adds to the wildfire problem. It’s a money issue as well. The more money the U.S. Forest Service spends to fight fires, the less money they have down the line to prevent fires. It’s hard to focus on keeping these things from happening in the future when it’s a struggle just to keep everything from burning in the present. Even if your house isn’t in the path of the fire, the air quality can still affect both you and your home. The impact of wildfire-related particulates like soot and ash shouldn’t be overlooked either. Those particulates can sneak in through doors, windows, and vents and make breathing indoors almost as tricky as breathing outdoors in the middle of a harsh wildfire season. It’s all too easy to tell people in the line of wildfires that they should just move to the East Coast. But even then, things like hurricanes, floods, and other natural disasters await. A study of the cities that are least likely to be hit by natural disasters found Cleveland, Ohio, and Syracuse, NY, have the lowest risk, but that doesn’t mean the risk is zero. It’s probably a better idea to evaluate your house and figure out if there are ways to reinforce it against natural disasters. For instance, what kind of materials are on your roof? Residential metal roofing can provide an additional layer of protection against lightning strikes and wildfires. Such roofs are also generally more durable and energy efficient. Beyond that, do regular checks of the local air quality during wildfire season. If the air quality remains good or moderate, then carry on about your business as usual. Start paying more attention once it slips into the “unhealthy for some groups” category, though. When that happens, stay inside as much as possible and spare a thought for the fire crews battling the blazes.